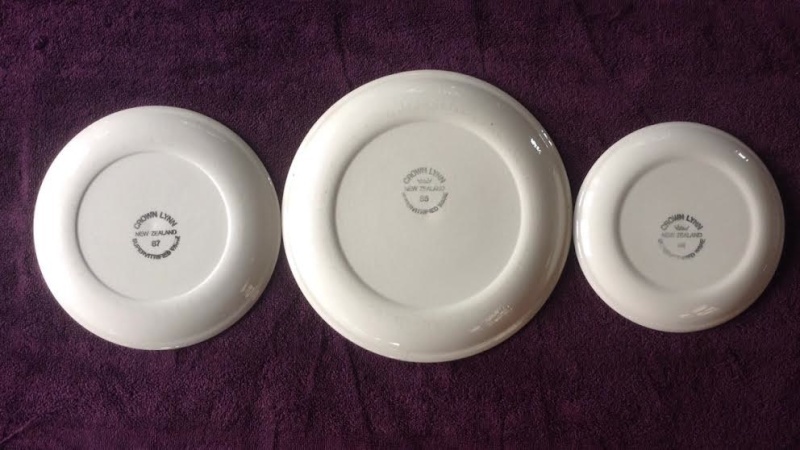 Three sizes of white Supervitrified plate dated 1984, 1985 and 1987. 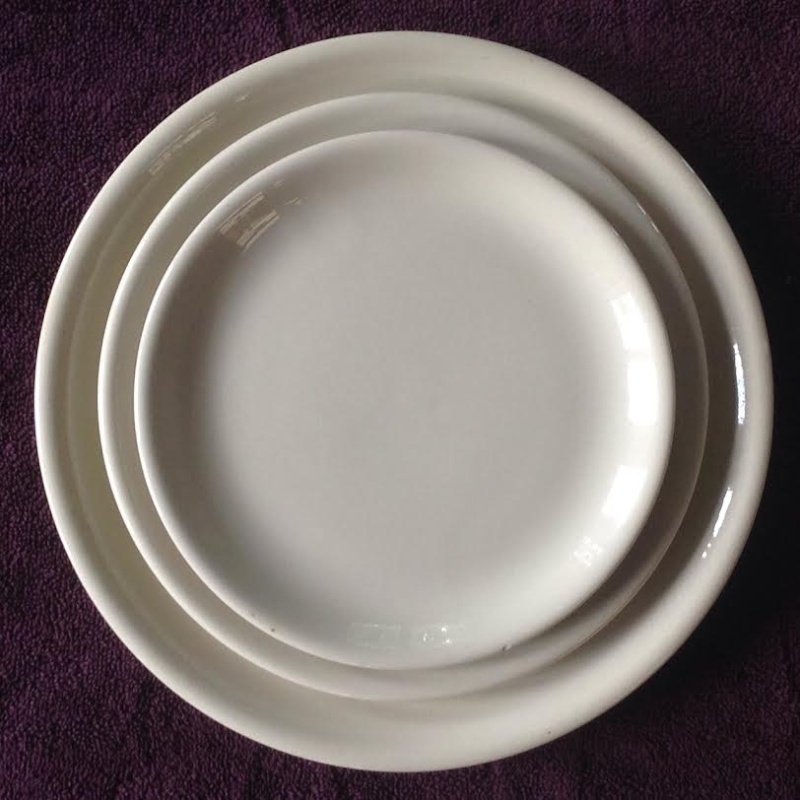 I have used the largest of these three sizes for may years as a suitable size for our smaller oven. The small ones (SPCA) are suitable for serving up meat pies I have baked in the 5625 pie dishes (trademe) but I have recently returned to baking them in enamel tins and needed something bigger. The Sallies came to the party with the medium size.